The pursuit of the ultimate Instagram shot while on holiday has become something of a frenzied pastime; but Fiji delivers the goods every evening. Due to its location close to the equator, sunsets in Fiji are often awe-inspiringly beautiful. For a good view, the southern coast of main island Viti Levu, between the towns of Sigatoka and Navua, is known as the Sunset Strip. Many resorts in Fiji offer their guests the chance to visit villages on tours; visitors find out about how locals live and have a chance to donate to the village by buying the souvenirs they sell. There are also a number of resorts working with local charities such as Rise Beyond the Reef, which teaches and assists women in remote communities to produce marketable goods using traditional skills. Profits go directly towards alleviating poverty in their communities. A raft of new resorts and hotels has arrived on the scene in the last year or so, from Fiji Marriott Resort Momi Bay on the Coral Coast, with stunning over-water villas to rival its Pacific neighbour of Tahiti, to wellness brand Six Senses Fiji on the lovely Malolo Island. 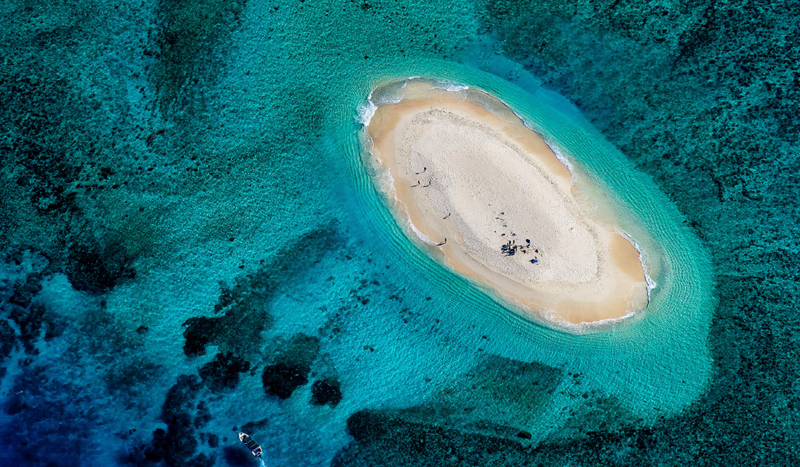 Another newcomer is Kokomo Private Island Fiji, developed by Australian property developer Lang Walker and his family, located in the pristine Kadavu islands. 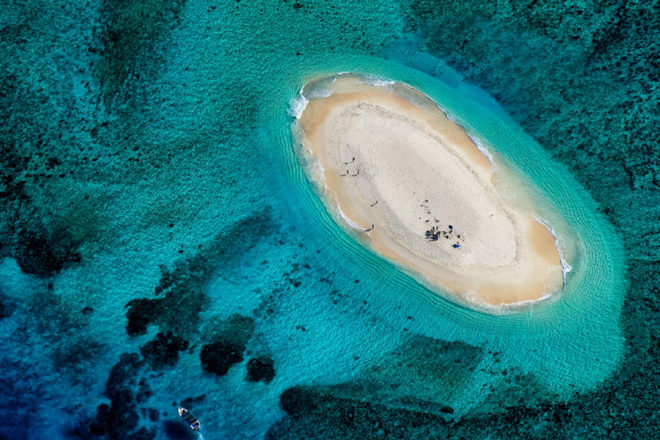 Encircled by the Great Astrolabe Reef, the fourth largest on the planet, the resort boasts 21 Beachfront Villas, five Luxury Residences and six-star service, no less. Of Fiji’s approximate 330 islands, only about 100 are permanently inhabited, and you can take a look at some of them with Awesome Adventures Bula Pass. 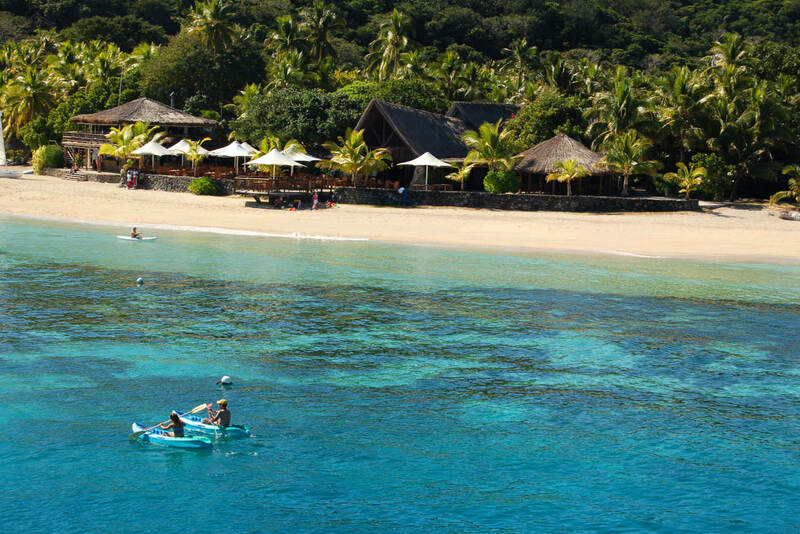 Passes range from 5 to 21 days and allow holders to visit 12 of the 20 islands in the Yasawa Islands chain that offer accommodation; there are 31 resorts operated by villagers varying in standard, style and activities offering. Like many of its Pacific Ocean neighbours, Fiji faces a real threat to its way of life – even its very existence – from the effects of climate change. Thankfully many resorts and hotels in Fiji are doing what they can to address the situation: the new Six Senses Fiji has one of the largest off-grid solar installations using Tesla Battery packs in the southern hemisphere; Jean-Michel Cousteau Resort is a five-star eco resort with a long list of initiatives from organic farming practices on the island to programs to preserve the pristine marine environment that surrounds it; Royal Davui Island Resort removed all single-use plastic items in July this year, with plastic drinking straws replaced with paper straws and plastic bottles swapped out for reusable glass bottles filled from a state-of-the-art filtration system. For the Fijians, the game of rugby is something of a national obsession, watched and played with quasi-religious fervour by the nation of some 900,000 people; it seemed like a case of collective wish fulfilment when the country won its first ever Olympic gold medal at Rio 2016 in the sport. At the end of most days, locals can be found playing games on beaches and makeshift fields; even at five-star resorts, staff mark the end of the working day with friendly yet competitive games that are fun to watch, even if you aren’t a dyed-in-the-wool fan of the sport. The best way to locate a game? Follow the sound of laughter and cheering.